Baze took up running in 2009 after his Mum survived breast cancer. He just wanted to give back to the research that had saved her & asked a charity how he could help. Before he knew it he’d finished the Great North Run & raised £1,300 for Breast Cancer Now. In 2012 he completed the London Marathon, carried the Olympic Torch, completed a skydive & broke a Guinness World Record, all whilst raising money for other good causes. Baze has completed some of the worlds toughest races like the Great Wall Marathon in China & The Comrades Ultra in South Africa. His YouTube videos capture the true essence of what running is all about & showcase all the races Baze takes part in. 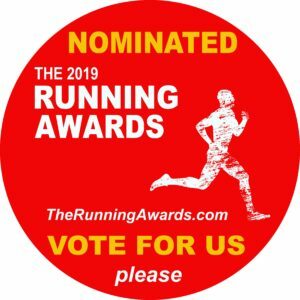 Having won a bronze award for the best blog category in the Running Awards & nominated for Influencer of the year in Men’s Running Magazine Readers Awards Baze is a true positive influencer in the world of running.